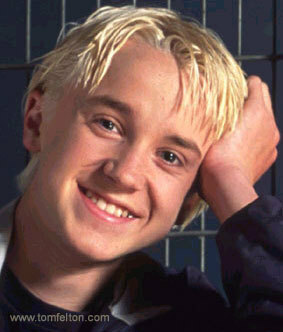 Tom Felton What do te like about Tom Felton? i love him. he is smokin hot. awesome actor and an awesome singer. i like draco. He's obviously SEXADELIC. But in his interviews he seems really nice and funny AND he's an amazing musician. Curse you Emma Watson IF ONLY I WAS AROUND AT THAT TIME!!! I'd like to add that he dresses really nicely AND casually, unlike Dan Radcliffe who is always in bloody suits. Tom's clothes are simply LUSH. I like Tom's personality, appearance, smile, tweets, songs, acting, and EVERYTHING about him! I am seriously in love with him! :D <3 Luv ya Tom! Ha! i have to agree with BellaCullen96 on how most actors in America are always smoking weed, going to rehab, being arrested... And Tom is soooo down to earth, he's a great actor, is extremely hawt... and everything about him is ah-mazing! i totally agree with zelo !! !Tom is a down to earth cutie! !